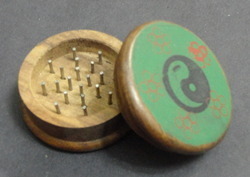 These Wooden Grinders are used for mixing the tobacco with the stuff and grind it in a fine mix which can readily be used to make a joint or used in a pipe or a bong. Our range can be customized as per the requirement of our clients and at minimum cost. Products offered by us are available in various specifications and deigns which best suits the requirements of the customers. These are fabricated in our advanced manufacturing unit by our experts who use best quality materials. In order to cater to the diverse requirements of esteemed clients, we are able to offer a comprehensive range of Wooden Grinders. The offered range is manufactured utilizing highly advanced machinery and latest technology in complete adherence with the industry laid norms and standards. Along with this, the offered range is checked on different characteristics to maintain its authenticity the manufacturing process. 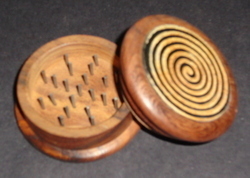 We are a renowned name, which is engaged in offering an unparalleled range of Wooden Tobacco Grinders. The offered range is developed utilizing highly advanced machinery and premium grade raw material in complete adherence with the industry laid norms and standards. 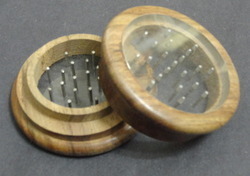 Moreover, the offered range of wooden tobacco grinders is available in different models, specifications and allied in conformation with the international quality norms and standards.